“That flag is the symbol of the spirit of the refu­gee,” Springfield resident and Vietnamese American talk show host Liem D Bui told journalists in 2012. 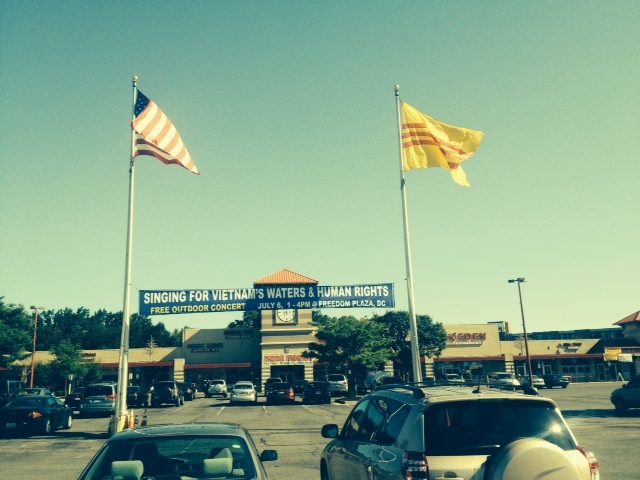 The flag to which Bui referred is that of the fallen South Vietnam government and it along with an American flag fly over Eden Center shopping plaza in Falls Church, VA, a symbolic embodiment of Vietnamese American culture that some call “a capital within a capital,” for D.C.’s 80,000 residents of Vietnamese descent. 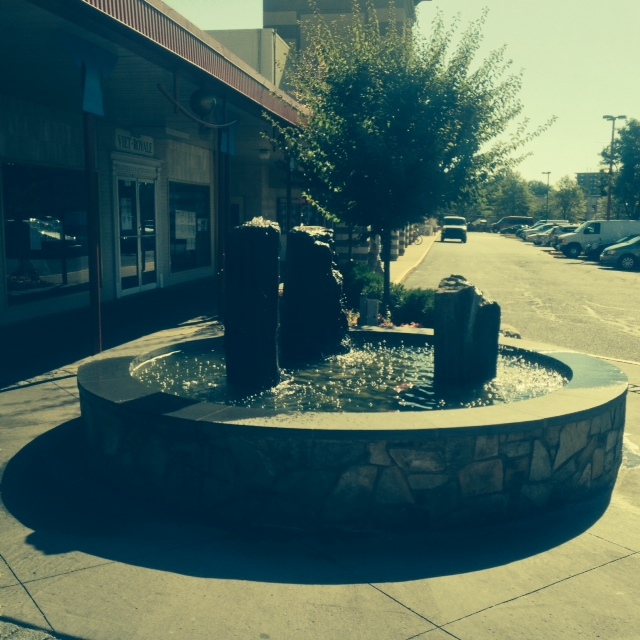 Unfortunately, in recent years, the shopping center has garnered attention for more than its restaurants and markets. A murder-suicide left two men dead in July of 2012 and gambling raids in 2011 linked Eden Center and its flag with this sort of criminality, which for the Vietnamese diaspora stung. “The bottom line is, somehow and somewhere it hurts. It hurts,” Bui admitted. Today, Eden Center established over 30 years ago, retains a cultural resonance but one that remains subject to popular perceptions. “[M]erchants and community leaders worry that, outside their circle, their home away from home is increasingly viewed as a place for gambling and gang activity,” noted Washington Post journalist Luz Lazo, “a perception that some business leaders say hurts business and threatens the vibrant social hub.” Undoubtedly, many residents remember their own difficult arrival in the U.S. Though few remember now, the majority of Americans opposed President’s Ford’s approval of refugee acts enabling Vietnamese passage to the U.S. and in many places they faced discrimination and resentment. Despite its indication of vulnerability, the tenuous status of refugee hardly promises comfort and understanding. Though certainly not identical, the recent controversy regarding the immigration of Central American children to the U.S. has obviously sparked a spirited and unfortunately frequently ugly debate, that as noted above has precedent. Migrating to the U.S. proved no small feat for these children, and many did so as a means to escape gang violence and extreme poverty plaguing nations like El Salvador and Honduras. While it would be wrong to suggest that the drug trade warping life for Salvadorians and Hondurans today resulted from 1980s covert U.S. policies in Central America or America’s insatiable thirst for the drugs provided by drug traffickers in the region alone, it would also be incorrect to ignore these facts. The Vietnamese did have the “advantage” of a recognized war that on its face offered some explanation for their arrival, whereas the lesser known activities of CIA agents in 1980s Central America remained shrouded then and to some extent now. Who knows how many Gen Xers connect the term Contra not with U.S. covert activity but with the video game, in which two fighters battle “aliens” from outer space, rather than the problematic U.S. backed rebel movement. Millennials probably know the term but identify it as one of the later tracks on Vampire Weekend’s second album. Whatever the broader public’s understanding, clearly, intervention abroad, even when covert as in the case of Central America, often results in unexpected outcomes that span decades. In fact in Andrew Friedman’s new book Covert Capital: Landscapes of Denial and the Making of U.S. Empire in the Suburbs of Northern Virginia, the Haverford College professor demonstrates how CIA efforts in El Salvador, Iran, and Vietnam and the refugee populations that followed, reshaped Northern Virginia’s built environment and demographics. 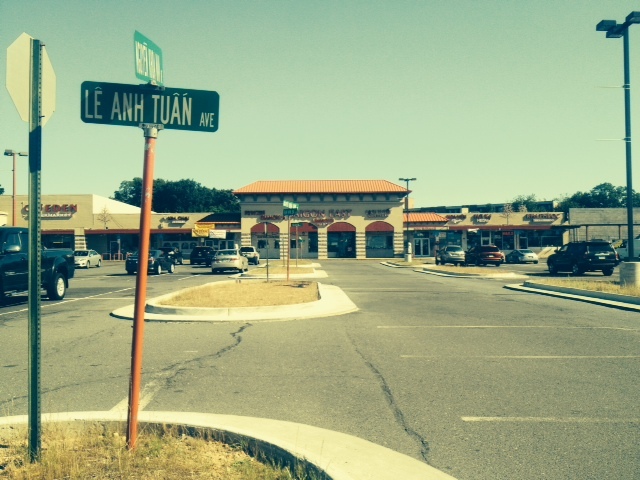 For our purposes, we will examine how C.I.A actions in Vietnam led to a burgeoning Vietnamese American community that today is symbolized by the Eden Center shopping plaza. While an obvious result of U.S. intervention in Vietnam, the relationships or intimacies that led to the settlement of today’s 80,000 Vietnamese Americans in Northern Virginia were forged through not just the war but decades of covert action abroad. For much of the twentieth century, American legislators severely limited immigration from Asia and refused those that did come the right to naturalized citizenship. Of course, this is not to say that migration in the nineteenth or even early twentieth centuries evolved only from military conflict. As Yale scholar Laura Barraclough has demonstrated, Japanese farmers and labors migrated to places like Imperial and San Fernando Valley to work the land even in the face of discrimination. Despite or one might argue because of the widely acknowledged proficiencies of these immigrant farmers, several states, California most prominently, passed Alien Land Laws that banned property ownership by non-citizens, which, while not explicitly identifying Asians in the legislation’s language, were clearly directed at the increasingly prosperous Japanese farmers competing with whites across the state. 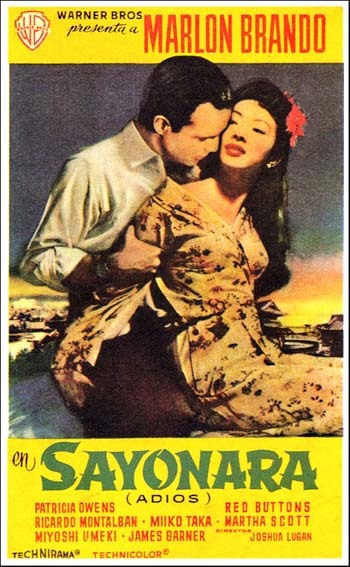 However, U.S. involvement in war in Asia and occupation of Hawaii and the Philippines helped to create various transnational connections related to economics, politics, and intimacies (referring to friendships, sexual affairs, and collaborations that occurred as part of covert activities) that later contributed to shifts in immigration policies in the early 1950s. The 1952 McCarran Act removed the ban on naturalization, but maintained quotas for certain groups, notably Asians. Not until 13 years later did the 1965 Hart-Celler Immigration Act redefine the rules for immigration, making family unification a priority and replacing racial quotas with hemispheric ones, thereby facilitating greater numbers of newcomers from Asia, Africa, and Latin America. In both the postwar occupation of Japan and the Korean War, the nation allied with the U.S. remained, more or less, intact physically and geopolitically. Korea might have been split into two nations but the Korean War, even though it did lead to Korean immigration stateside, did not set off a wave of refugee immigration to the U.S. In contrast, American actions in Vietnam did not result in victory for its allies; rather, those Vietnamese allied with the U.S. backed South Vietnamese government found themselves targeted by the victorious Communist North Vietnam for imprisonment, torture, and execution. This created a larger flow of refugees to the U.S. and the passage of the 1975 Indochina Migration and Refugee Assistance Act by the Ford administration, despite public opposition. The 1980 Refugee Act subsequently resulted in directed flows of Vietnamese to places like Orange County, California and Northern Virginia. From 1980 to 2000, 531,00 Vietnamese sought and received refuge or asylum in the U.S. Today 40% of all Vietnamese Americans live in Orange County. While much has been said about how American adventures abroad and the region’s own anti-communist conservatism helped to reshape Orange County demographics, less has been written about a similar process in Northern Virginia or how covert action rather than direct military intervention played a role in facilitating refugee flows. For example, many credit the Marshall Plan for helping to rebuild European economies. It stands as an open symbol of U.S. postwar beneficence. However, as Friedman points out, the same Marshall Plan led to US involvement in Vietnam in the late 1940s, nearly twenty years earlier than the Vietnam War. Indeed the Marshall Plan, established as one expert noted “to help rebuild civilization with an American blueprint,” also approved $685 million in foreign currency for CIA covert political action. “Marshall Plan money went to Vietnam alongside the return of French colonial administration, STEM [Special Technical and Economic Mission].” Though never directly connected to the CIA, others like Charles “Marquis” Merrell (identified as Mark Merrell here) contributed to CIA efforts even unintentionally in the attempt to transition Vietnam from “French to American power,” notes Friedman. By the time the Vietnamese crushed French forces at Dien Bien Phu in 1954, the U.S. was paying nearly 80 percent of France’s war costs. Over the next twenty-five years CIA agents working in South and North Vietnam shuttled between NOVA and McLean, VA and Vietnam, thereby, in their efforts here and abroad, reshaping built environments and demography. Even those not directly tied to the CIA played a role in these developments. For example, Merrell and his wife, novelist and poet Marion Clinch Calkins, actively pursued land development in the burgeoning NOVA suburbs; Merrell even named a new McLean subdivision development project Saigon, and many of its first occupants worked for the military, intelligence, and defense industries at the heart of what Friedman labels the Dulles Corridor – twenty-five miles stretching from D.C. city limits at the Pentagon and National Airport to the Dulles International Airport – where CIA and Pentagon covert actors settled. Merrell’s development acumen could not remain sequestered in Northern Virginia. In his capacity as STEM leader in Vietnam, Merrell’s activities – road building, economic development, housing complexes – reconstructed the shape of Vietnam’s built environment. “[Y]ears before Americans are seen has having significant spatial impact on the country, [Merrell’s] work … entered, altered, and established crucial aspects of the built environment and material life of Vietnam that became incorporated into its physical expression as a place, that defined how it was experienced by local residents and later observers,” reflects Friedman. Rufus Phillips performed similar duties after Merrell. “He dug wells. He brought fertilizer he handed out medical kits. 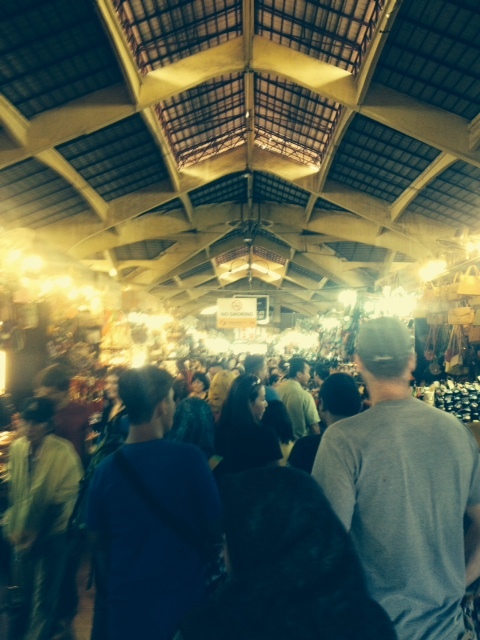 He rebuilt markets, roofs, roads, and bridges,” points out Friedman. “[H]e sculpted American aid, American material, and American building techniques into the landscape of Vietnam.” One hears the enthusiastic, Kool-Aid drinking voice of The Quiet American’s Alden Pyle whispering in the ears of men like Merrell and Phillips as they promoted U.S. stewardship of their Southeast Asian allies. If Merrell and Phillips constructed the built environment with materials and U.S. money, others, worked relationships. Take Edward Lansdale, who was sent with the “Saigon Military Mission” to ensure that Vietnam did not reunify even as the U.S. signed the Geneva Accords promising to do just that. Lansdale used his charisma, inquisitive nature, and aptitude for political calculations to build personal relationships with Vietnamese collaborators that forwarded U.S. interests. “Lansdale prided himself on understanding not only the politics, but the cultures of places he entered … He claimed to communicate on good humor alone,” Friedman writes. “And he almost always acquired his cultural knowledge through one on one experiences of extreme intimacy with people he knew for political reasons.” Lansdale supported the efforts of Merrell and Phillips, seeing in medical aid, for example, a way into Vietnamese hearts and minds while also providing U.S. companies an inside track into emerging markets where businesses could demonstrate the superiority of American wares to a people “hungry for technological improvement.” The Saigon Military Mission disbanded once Vietnam formally split, and the agents returned to NOVA. Many ended up in refugee camps run by the Pentagon in one of four places: Camp Pendleton, CA, Fort Chafee, Arkansas, Elgin Air Force Base, FL, and Fort Indiantown, PA. The refugee camps ran civics classes to instruct the Vietnamese on US customs and ways to redefine themselves in this new environment. “In lessons about work, when a woman made the motion of casting a fishing net, the teacher would correct, ‘I am a housewife,’” notes Friedman. “When a man made a gun with his hands and said, ‘I rat-a-tat-tat,’ the teacher would recommend, ‘I work with my hands.” Their pasts would have to be wiped clean, though as will be seen, this process contained greater complexity than any camp instruction could hope to solve. Not that average Virginians welcomed their arrival. At best, many white residents of Northern Virginia, a region at the time still pockmarked by the legacy of Jim Crow segregation, resented the newcomers and demanded they integrate into local economies and cultures as quickly as possible. Others more maliciously wondered aloud if NOVA would be able to remain truly “American.” Vietnamese newcomers might have used their intimacies to secure a new home in the burgeoning Northern Virginia suburbs but they did so unevenly as their white counterparts, some guilty of subterfuge, torture, and assassination, settled into cushy office jobs in government and private business. For example, Nguyen Ngoc Loan, the man photographed famously executing an alleged VC collaborator during the war, settled in NOVA, even opening a pizza parlor named Les Tres Continents, but remained subject to the occasional ominous threats for his actions during the war. Whatever his complicity or guilt (the story behind the shooting remains as murky as during the war), some came to his defense. “Everybody did it, it’s not only him,” the Vietnamese wife of an American State Department official commented. “The past in Vietnam is not in the United States.” The physical and conceptual newness of Northern Virginia helped in this regard. “Violence rests in the past, and the past is geographic, distant in very sense, relegated to the lost Vietnam that can’t penetrate the resilient visual immediacy of Virginia’s suburbs,” Friedman explains. 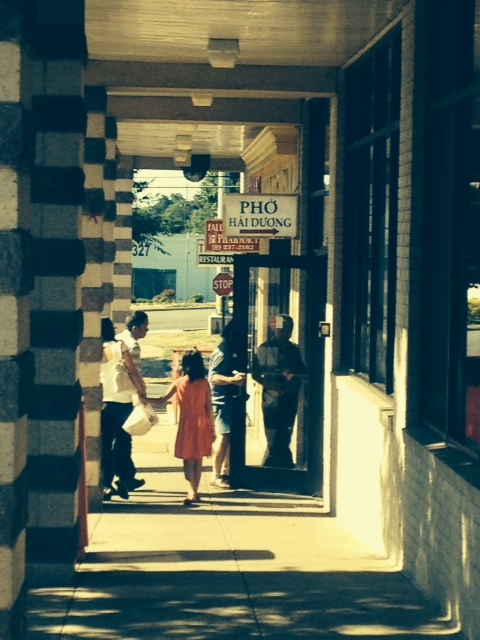 Even in the face of racism and the difficult process of establishing new identities and careers, Vietnamese refugees first settled in Arlington, Falls Church, Annandale, Vienna, and Clarendon and along the thoroughfares that connected them, like Wilson Boulevard and Columbia Pike. They did not settle en mass in one large “immigrant ghetto” but rather dispersed though a “wide swath of the Dulles Corridor landscape.” They established businesses and worked jobs that radically differed from their occupations in Vietnam. A navy commander worked as a bag boy at a local Giant supermarket on Leesburg Pike; women who worked for large American companies now clerked at the Fairfax Quality Inn. Soon, cultural and business institutions took form. In 1975, Rev. Nhi Tran established the Holy Martyrs of Vietnam Catholic Church in Arlington. In these early years of settlement, Clarendon formed the heart of this new Vietnamese community with its Little Saigon. Even before 1975, in 1972, the first real Vietnamese presence in the county emerged with the establishment of a restaurant, followed by other restaurants like the Queen Bee, and grocery stores. Vietnamese immigrants lived in old government housing, new garden apartment developments, and some of the nation’s first FHA insured demonstration projects. Indeed, the very architecture of the state sheltered refugees from the country’s foreign policies. When the metro line to the area was completed bringing government offices, Vietnamese businesses migrated further out to Bailey’s Crossroads and Seven Corners in the Falls Church area. In fact, 60 percent of Vietnamese resided within three miles of Seven Corners. 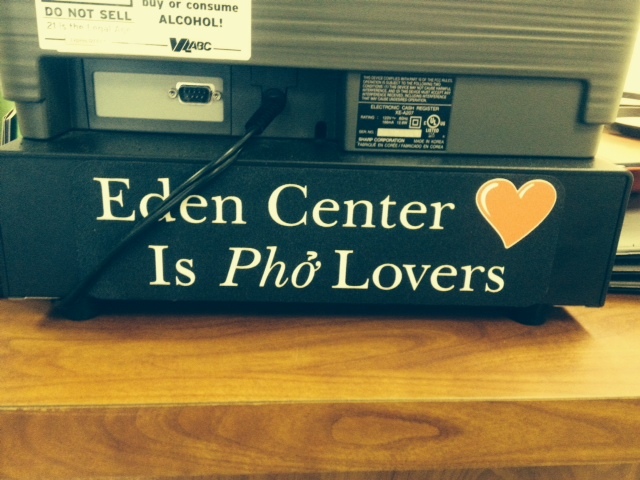 Named after the Eden Arcade in Vietnam, Eden Center soon emerged as not only a center for the NOVA Vietnamese community and a physical reminder of U.S. foreign policy, but also as a sort of capital for the Vietnamese diaspora. “All Vietnamese communities around the world look up to this one as the crown of the anti-Communist government and its sense of duty,” one Vietnamese immigrant told interviewers. 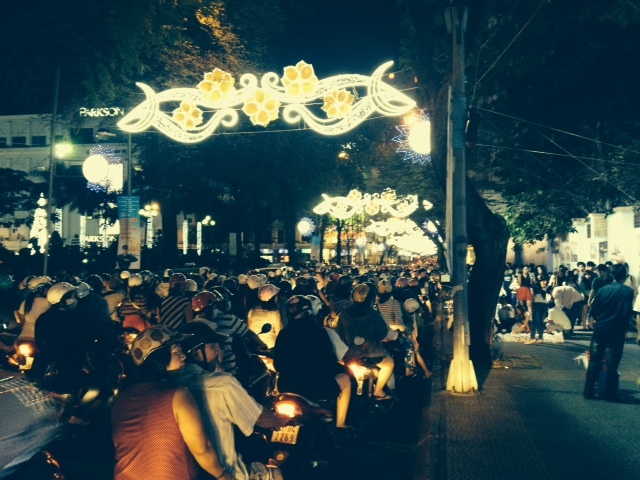 Ethnographers found that for many Vietnamese transplants going from the capital of South Vietnam, Saigon, to the capital of the U.S. seemed fitting, hence Eden Center’s status as “capital within a capital.” The “Little Saigon of the East Coast,” noted one Vietnamese American and Maryland resident. Nor do the mechanics of U.S. covert action simply stop, but rather continue to process in surprising examples of a boomerang like transnationalism. Successful refugees like developer Vietnamese American Tien Hoang, himself a 1975 arrival to NOVA, returned to Ho Chi Minh City in the 1990s, building housing complexes in Vietnam and selling units through sales office in Falls Church. He even planned a strip mall in Vietnam based on American models and hoped to name it “Little Fairfax,” telling interviewers “It’s like Reston [VA] was back then.” In the end, Vietnamese Americans like Hoang and others who collaborated directly with U.S. actors” returned to Ho Chi Minh City in search of development opportunities but not as “conquering South Vietnamese Republicans but as American capitalist emissaries looking to develop its land,” Friedman argues. Unlike Salvadorians, the Vietnamese refugees had the “benefit” of a very visible war that flickered across American television screens and polarized popular debate. Facilitated by intimate connections to U.S. officials, a result of their alliances during American occupation of South Vietnam, the Vietnamese carved out conceptual and physical space in Northern Virginia through their own sweat and toil, yet the prominence of the war at least meant that Americans had some awareness of the reasons behind their arrival. Moreover, established relationships enabled many to at least find a foothold on American shores. Salvadorians, however, endured a more nebulous arrival as their migration to NOVA in the 1980s unfolded as a result of more covert U.S. action. Upon arrival, Americans greeted them as “illegals”, unaware of the covert U.S. actions that led to their arrival in Northern Virginia. Ultimately Americans relegated them to nearly invisible status or what Friedman calls a “zone of illegality” that obscured the reasons for and the U.S. role in bringing Salvadorians to the suburbs of the nation’s capital. The child migrants that now sit in American immigration detention centers are in some ways the collateral damage from such interventions. Owning up to our own role in creating such population flows was difficult enough for Americans in the 1970s with Vietnam. One wonders how much harder it will be for theses children on America’s proverbial doorstep. Posted in 1950s, 1960s, 1970s, 1980s, Asian American history, Asian Americans, built environment, cities, foreign policy, military history, politics, race, transnational history, Uncategorized, urban studies, Vietnam, Washington D.C.
Ryan Reft at the Tropics of Meta talks about the controversial immigration of Vietnamese after the fall of Saigon. These immigrants were sent to refugee camps and could not leave until they found a sponsor. After securing sponsors, many Vietnamese moved to the Dulles Corridor in Virginia. Reft describes the efforts of these new immigrants to create communities in Northern Virginia. Reft also compares the plight of Vietnamese immigrants to the children who recently fled Central American to escape violence and join their undocumented family members in the United States.